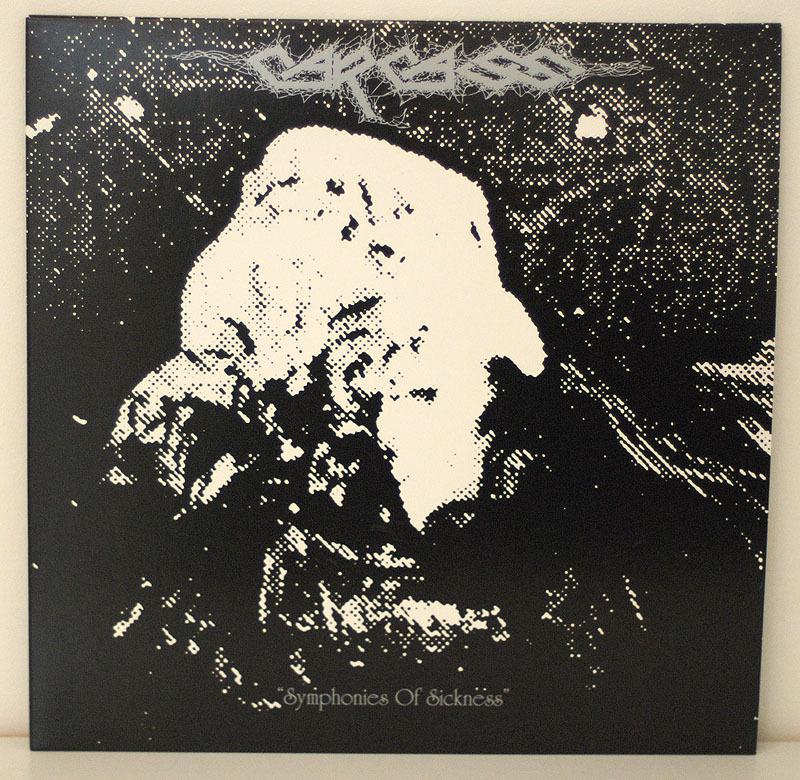 2013 Reissue of Carcass’s classic second album with Full Dynamic Range mastering on Earache Records. 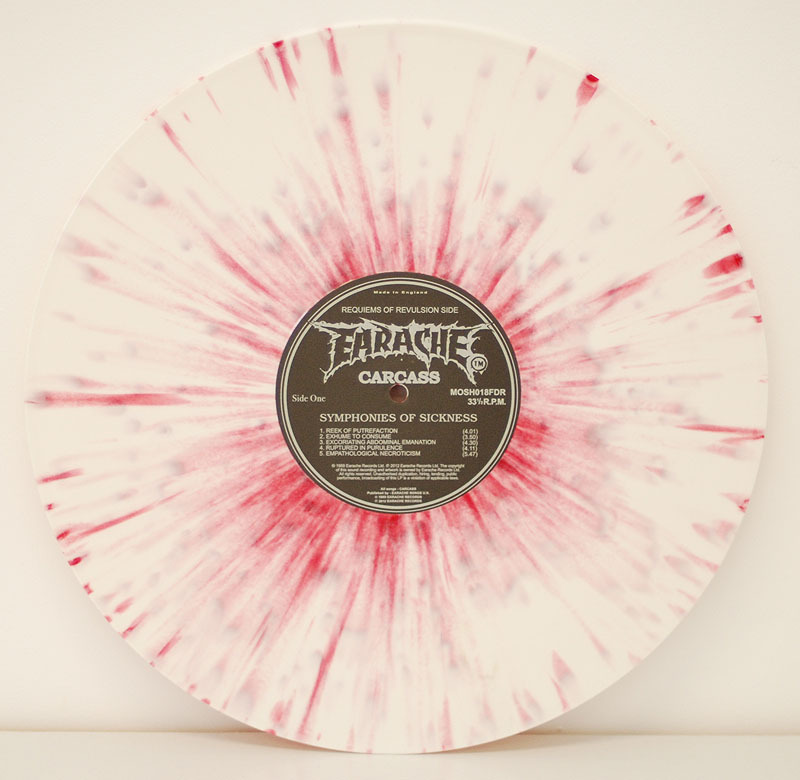 Limited edition of 100 copies were on white & red splatter vinyl. I read this article and found it very interesting, thought it might be something for you. 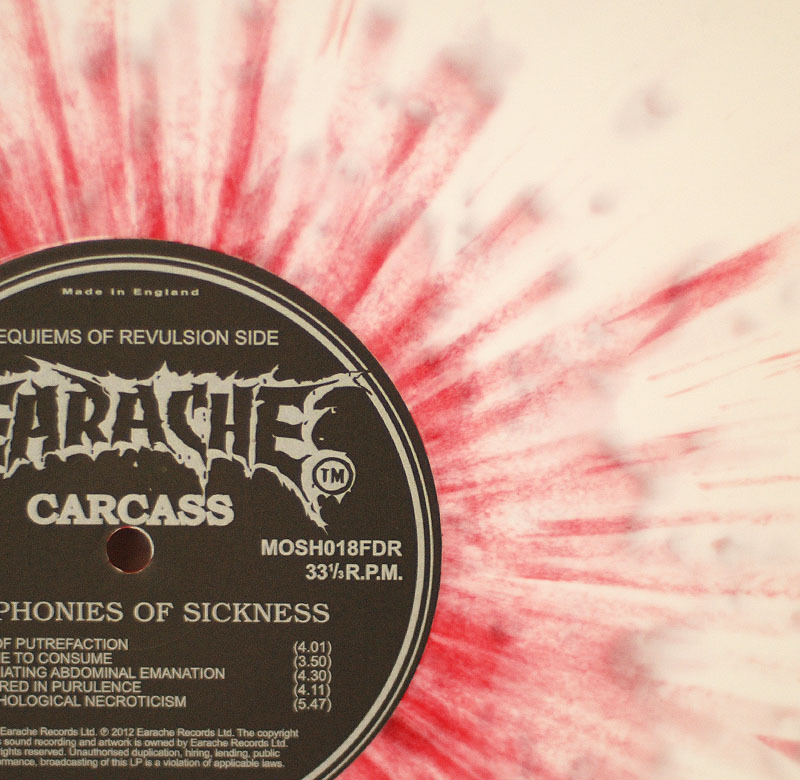 The article is called Carcass – Symphonies Of Sickness (2013 Reissue) and is located at http://12in.ch/2013/06/carcass-symphonies-of-sickness-2013-reissue/.